302 Professional Skincare cleansers use Avogen™ in their products. Avogen is taken from a variety of avocado that only grows in the rain forest. Since the products are all natural, they are excellent for your skin. 302 Skincare Cleansers are among the best of the best for all types of skin conditions. 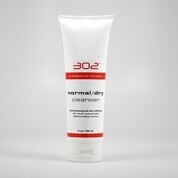 302 Skincare Normal/Dry Cleanser – This all natural avocado formula is very gentle on the skin. It will not dry your skin, yet removes your makeup with ease. It helps moisturize and soothe your skin. Normal/Dry Cleanser smells very nice, too. Avocado oils have natural anti-bacterial qualities that helps support the reduction of skin problems. Try it today! 302 Skincare Oily/Combination Cleanser- So many of us have combination skin; it is nice to have a natural 302 Skincare Cleanser formula designed just for us! This product helps normalize the output of excess oil while helping to improve pores. 302 Oily/Combination skin cleanser helps moisturize your skin yet does not leave an oily residue. Makes an excellent makeup remover also (a must to prevent breakouts). 302 Skincare Acne Cleanser RX- Acne sufferers, look no further! This product combines the antibacterial and antifungal of molecule 302 with FDA approved USP sulphur. This is an excellent formula that will not dry or irritate your skin yet helps protect skin from bacteria that can cause breakouts. This product has been shown to work better than benzoyl peroxide or other acid based products. Discover the benefits of this all natural product and clear up your skin naturally! Alana, How Do I Order 302 Skincare Cleansers? Skin Care by Alana is the perfect place to buy your 302 Skincare Cleansers! Since this is a powerful skin cleanser, you will need to get a free consultation from one of our experts in order to purchase this product. 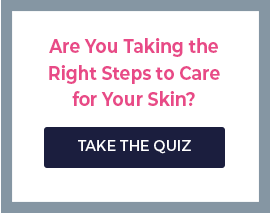 Chat with us online or call us (888-222-0637) and let us help you find the right 302 skincare cleanser product for needs. We are open seven days a week and ready to answer your questions! Smoother, cleaner skin is just a phone call away!